A program to keep the workplace alcohol and drug free, to reduce the liability related to on-the-job substance abuse, and a means to comply with the U.S. Department of Transportation regulations. At RMS we understand that employer’s need to effectively manage the risks of alcohol and drug use in the workplace. An untimely loss of concentration, impaired judgment in a security sensitive or financially responsible position or an unanticipated accident causing significant damage and/or personal injury can all have their origins in unassessed and untreated employee substance abuse problems. Drug Free Workplace programs typically include all employees and are coordinated with an existing Employee Assistance Program or can be implemented directly through the employer’s human resources department. 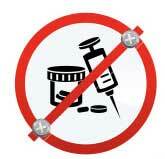 Some job classifications, are “required by law,” to submit to drug and alcohol testing. The Omnibus Transportation Employee Testing Act of 1991 requires drug and alcohol testing of all safety sensitive transportation employees in aviation, trucking, railroads, mass transit, pipelines and other transportation industries. The Department of Transportation (DOT) strictly enforces these regulations and RMS’s Substance Abuse Professional (SAP) is specially trained and qualified to assist employers in their compliance with these regulations.